Tides, a pair at 6 x 8 each (click here for more this size in the Shop). This is a 16 x 20 floating frame from Michaels. "Stream of Consciousness" 11 x 14 (for more of this size in the Shop click here). The piece is featured in an 11 x 14 Studio Decor Frame from Michaels. 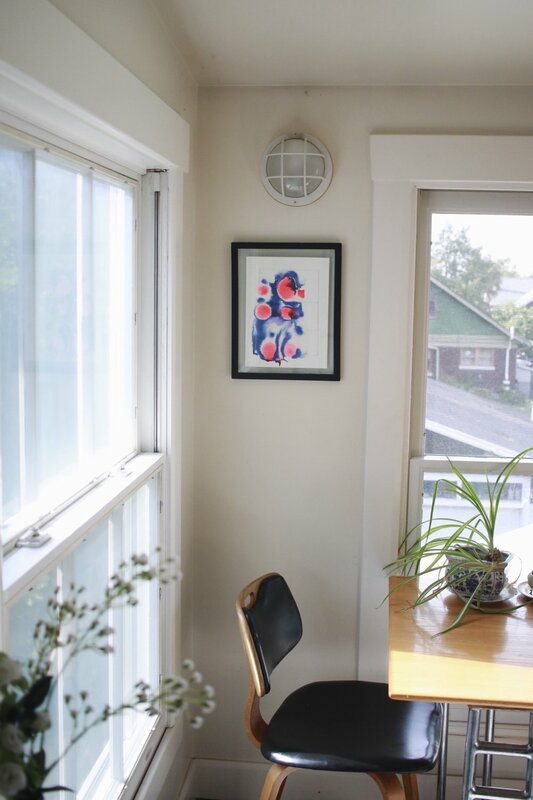 Click here to view the frame; it's affordable, lightweight, minimalist and easy to hang. From LAL's 2016 Black Friday Art Sale. 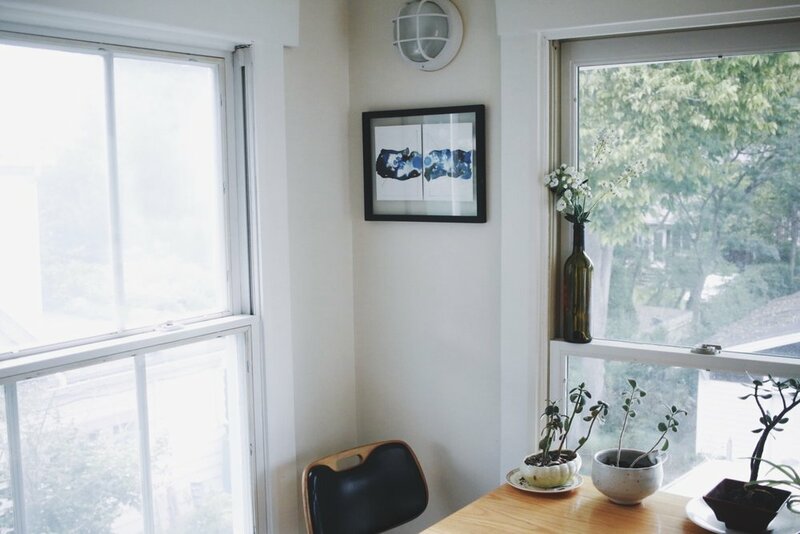 Featured are 6 x 8 and 8 x 10 pieces framed in the minimalist, affordable Studio Decor frames. Click here to view the frames. December 2016's Artist of the Month at Blue Stallion Brewery in Lexington, KY. Featured are 9 x 12s, acrylic ink on heavyweight yupo paper. For more in this style, click here to go to the Shop. Due to the thick nature of the paper, the pieces are framed in Michael's Studio Décor's Basics Metro Frame with Mat (11 x 14 matted to 8 x 10). The 9 x 12 pieces are taped on top of the 8 x 10 mat (instead of under), in order to show the entire painting. "Unveil"-- an 11" x 14", acrylic ink and gel pen on paper, framed and mated. In the home of Kate from Birch & Pine. She had this frame as an heirloom from her grandparent, held onto it for years, and this pieceperfectly fit the inherited frame. "Winged/ ailé"-- 14" x 17", acrylic ink and pencil on paper. Picture by Kate Oliver. A 9 x 12, acrylic ink and pen on paper. This is a 11 x 14 floating frame from Michaels. 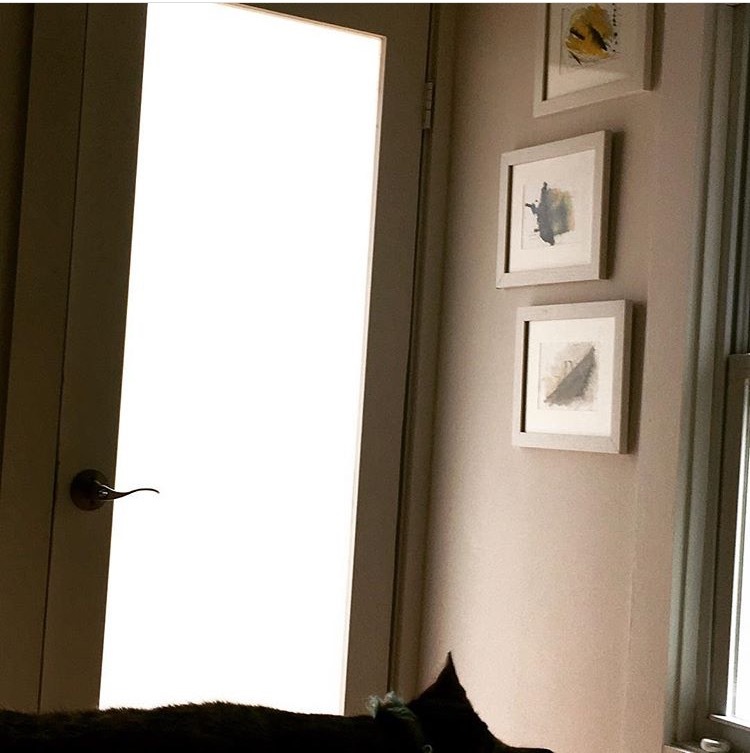 In Cara's home: "Seraphic" and "Ethereal", each at 11" x 14" framed in Michael's Home Collection Beadboard Frame. Artist of the Month, October 2016 at Cup of Commonwealth in Lexington, KY. Featured are 9 x 12s. For more in this size, click here to go to the Shop. 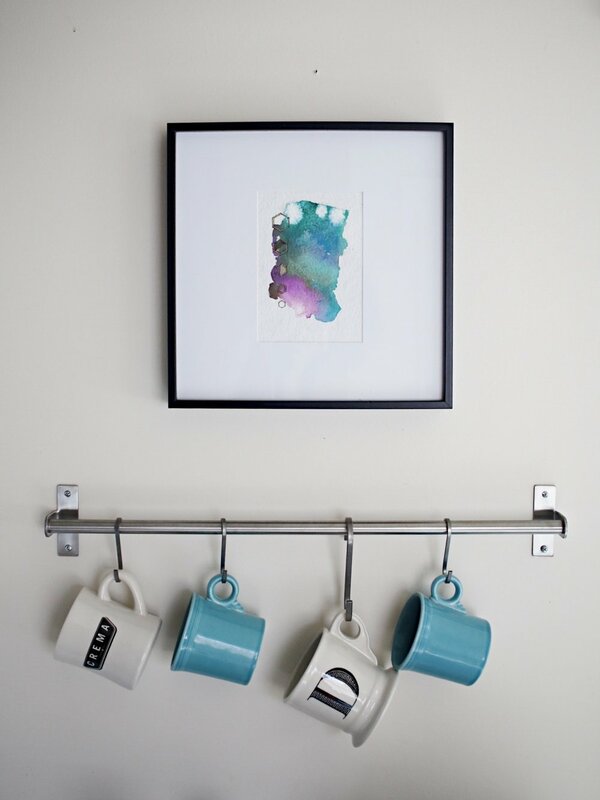 On the right side of the photo are 9 x 12s (acrylic ink on yupo paper), framed in minimalist & lightweight Studio Décor, Basics Metro 9" x 12". Find the frames here. To the left side of the photo are 9 x 12s (acrylic ink on heavyweight yupo). Due to the thick nature of the paper, the pieces are framed in Michael's Studio Décor's Basics Metro Frame with Mat (11 x 14 matted to 8 x 10). The 9 x 12 pieces are taped on top of the 8 x 10 mat (instead of under), in order to show the entire painting. An 11 x 15, framed in Michael's White Frame with Mat. Click here to view a similar frame.